When it comes to building muscle and strength, we all know that training with intensity and following a good plan is a key part of success. However, one of the most commonly overlooked aspects of working out is the warm-up. Too many people warm-up incorrectly, or worse, skip it altogether. Adjusting your warm-up to make sure you are adequately prepared for the demands of your training session can mean the difference between a mediocre workout, and a brutally challenging, gains-inducing workout. Be better than mediocre. Believe it or not, there is more to warming up than simply walking on the treadmill for five minutes while you find the perfect lifting playlist. This does a good job getting your heart rate elevated, but that's just the beginning - you need to do much more if you want a safe and effective training session. Your warm-up should accomplish three things: Get your joints and tendons warm through the desired range of motion, increase blood flow to the areas you'll be training, and most importantly, get your nervous system firing on all cylinders before your first work set. Some of these techniques and terms are borrowed from my experience working with high-level athletes, but they are equally applicable to bodybuilders and powerlifters. Movement prep is pretty self-explanatory: you are preparing your body to handle the resisted movements of that day's workout. The main ways to go about this are soft tissue work, like foam rolling, and dynamic movements. 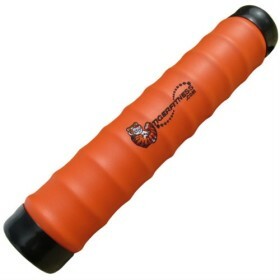 Foam rolling is a form of myofascial release. The pressure of the roller sends signals to your muscles that help them relax a bit, and can help work out any tight areas or trigger points. Softer, more relaxed muscles means better contractions and better pumps. Movement prep is simply moving your body in a way that will warm up the joints you'll be using. A treadmill walk might get your legs warm and loose, but won't do anything for your shoulders and elbows, so it would be useless on a chest or back day. Think about movements like bodyweight lunges, skipping, shoulder rotations - these things would fall under the movement prep category. This is one that most people tend to do, in some form or another. For safety and efficiency, you want a lot of blood and oxygen flowing to the muscles you'll be using. The best way to do this is by doing some lighter sets with the muscle group of the day, and ramping the weight up closer to your working sets. You wouldn't walk into the gym and throw 225 on the bench right away, at least I hope not. By starting with a few sets of pushups, or some sets with the bar, then 135, then 185, and so on, you can work up to the heavier weights safely. Regardless of the body part, always start with lighter exercises, and ramp up to the heavy sets. Joe Daniels presents the most complete foam roller how to video. This is the most commonly overlooked warm-up technique, but it can be a game changer. Your central nervous system is responsible for muscle contractions. If you get it firing on all cylinders, ready to be explosive, you'll be able to lift more weight on your heaviest sets. More weight = more muscle. One study had a group of seasoned lifters perform depth jumps, which is an explosive, plyometric movement, between sets of squats. Their one-rep max lifts went up across the board. Plyometric movements like depth jumps, jump squats, clapping pushups, medicine ball slams, and others teach your body to get many muscle groups working together, and firing quickly. For bodybuilders, this means that you won't need to be several sets in to your workout before you feel completely warmed up, and you don't need to be dependent on stimulant-heavy preworkouts (although these can definitely help). If these explosive warm-up techniques are good enough for pro athletes, they are good enough for the rest of us. To quickly summarize, your warm up should address movement prep, blood flow, and central nervous system activation. The goal is a smooth transition between being completely cold, and fired up on all cylinders, ready to crush your workout. it's very difficult to get out of the car after driving, and possibly sitting all day at work, and get right into a tough training session at the gym. This warm-up is a way to get ready. Here?s a sample of how it could look - the whole thing should take 10-15 minutes at the absolute most. If you time it right, you could have your pre-workout drink when you arrive, change, warm-up, and have the caffeine hit right as you?re jumping into your first work sets. The perfect combination. The following movements are geared towards a full-body warm-up; feel free to add or remove things as needed to customize to your workout of the day. Bullock, N., & Comfort, P. (2011). An Investigation into the Acute Effects of Depth Jumps on Maximal Strength Performance. Journal of Strength and Conditioning Research, 25(11), 3137-3141.